A colorful and lively item of display, this gorgeous and adorable jewelry display box is the perfect way to present your jewelry to your customers and also have it safely stored! The jewelry box is made out of plastic and cement for a more resilient and reliable construction. It is beautifully square shaped and it is also lined up with soft and fine velvet material on both outside and inside in order to offer more protection to your valuables and also to be softer and more comfortable at touch! Its main color is a classy dark blue but you can also get it in other colors such as dainty light pink and vibrant pink red! 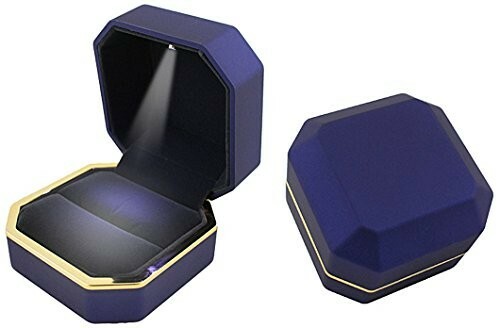 In addition to all of that, the jewelry box has got a LED light on the inside as well that is meant to light your jewelry items whenever you open the box, thus making it more than perfect for displaying jewelry in specialized retail shops! 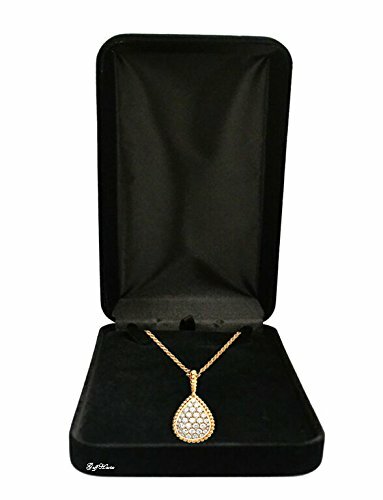 It is designed especially for jewelry such as rings, pairs of earrings, ear studs and other similar items; this beautiful jewelry display box is definitely a great manner of both keeping your precious jewelry safe and also having them displaying in a stylish and unique way as well! It is highly attractive, efficient and smartly designed and it is going to be very useful and satisfying! 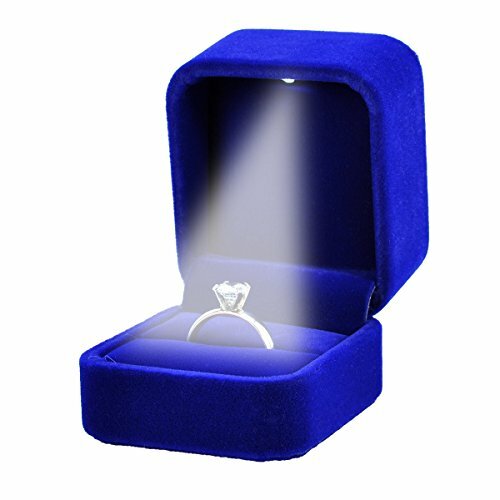 The measurements of this jewelry display box are the following: length – 5 cm (2″); width – 6 cm (2 3/8″); thickness – 5 cm (2″).